Here are suggestions and resources for discovering the wonderful stories in mathematics. This page is dedicated to celebrating some world class mathematicians, some of which are Irish. Read below to find out about some of the greatest achievements by Boole, Gauss and Hamilton to name a few! You can also use the interactive map or Ireland to find mathematicians from your own county. George Boole was born in England in 1815 in Lincoln 200 years ago this year! Throughout his life he displayed an incredible interest in and mastery over a wide range of topics including maths, logic and philosophy. Boole had very little formal education, making this mastery all the more impressive for being self taught. His abilities were formally acknowledged in 1849 by his appointment as a professor of mathematics in University College Cork where he spent the majority of his life. 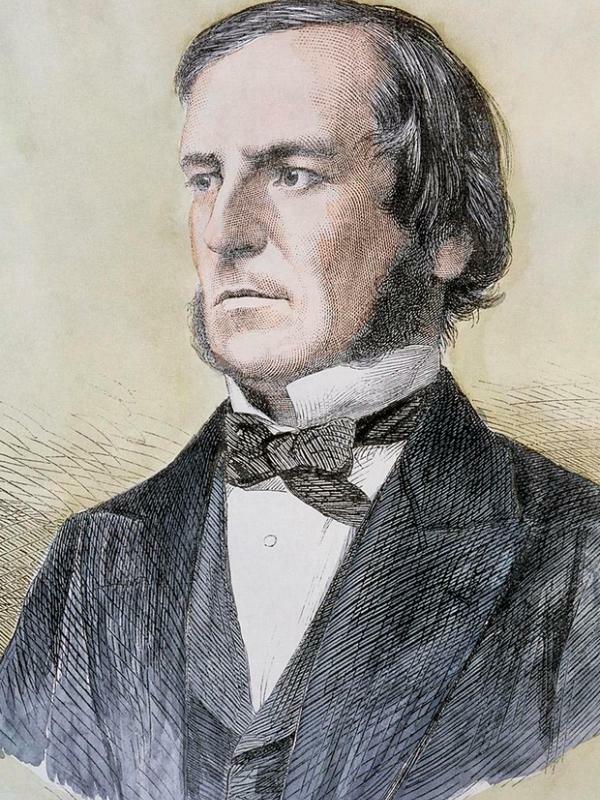 Perhaps Boole's most important contribution was in the field of logic. At the time of his birth the field had effectively stagnated since its beginning with Aristotle, remaining completely untouched throughout Roman times, the Dark Ages, the Medieval Period and the Renaissance; a span of more than two thousand years! Boole's work single-handedly revitalised the field, vastly improving its power and clarity. This reinterpretation of logic is hugely significant as it not only managed to sire modern logic, but computer science as well, meaning most of the technology used today is built on Boole's work. Despite Boole's extraordinary accomplishments, it would be remiss not to mention the achievements of his equally amazing daughters. Each made significant contributions in their own way, highlights of which include Lucy Everest as the first woman to be made a chemistry professor in England, Alicia Boole-Scott, a mathematician who made major contributions in four dimensional geometry and Ethel Lilian Voynich, an exceptional author best known for The Gadfly. He even had a Granddaughter who worked on the Manhattan Project! Boole's house in Cork is still standing and even features a plaque commemorating his achievements. However, the house itself is in an unfortunate state of disrepair; a great shame considering the breath and depth of his legacy. Thankfully, Cork County council have announced a full restoration of the Boole's house as part of the celebrations of his bicentenary. 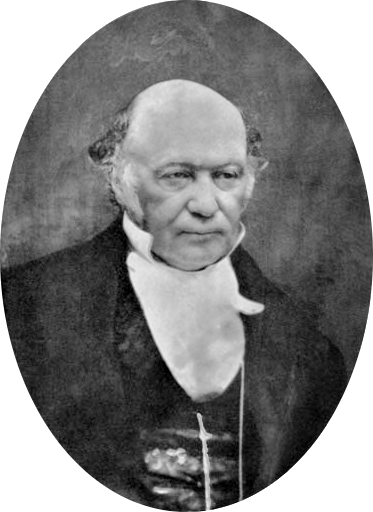 Irish mathematician and physicist William Rowan Hamilton was born in Dublin on the 4th of August 1805. A young prodigy, Hamilton displayed an exceptional ability to learn new languages and competed with some of the finest mathematical minds of his time early in his life. His major mathematical contribution was the development of quaternions, essentially a number system which permitted moving shapes and other geometrical figures around in models with three spatial dimensions. Hamilton tried for quite a while to achieve this only using the three dimensions we are familiar with, but found he could only move objects around in a two dimensional plane rather than the three he sought. When he added a fourth dimension, everything came into place. This final piece of the puzzle came to him all of a sudden when out walking with his wife along grand canal. Fearing he would forget and lacking anything more convenient to take his notes on, Hamilton carved his formula onto the nearby Broom Bridge. The event is still commemorated to this day with pilgrimages to the bridge and he will certainly be honored during Maths Week. It is rare that we find literary and the mathematical gifts in one person, but a very notable example of such an individual is Charles Lutwidge Dodgson, better known through his writing name Lewis Carroll as the author of Alice's Adventures in Wonderland. The book itself has received numerous reprints and even film adaptations from the likes of Disney and director Tim Burton, but underneath its reputation as a simple piece of nonsense fiction lies a much more complex story. Dodgson himself was a mathematician and lived in a time when mathematics was changing profoundly. Algebra was being developed and the discipline was becoming increasingly abstract with the introduction ideas like of imaginary numbers and non-Euclidean Geometry. He was staunchly conservative and adored Euclid's Elements, reacting strongly against almost any deviation from what was found there. Unsurprisingly, he did not approve of the more recent developments, and one of the most interesting products of this disapproval was a biting satirical story mocking them; what we know as Alice's Adventures in Wonderland. Perhaps the book's most well recognised scene, the Mad-Hatter's tea party, is of particular relevance to us as the target of the satire is none other than Irish mathematician William Rowan Hamilton and his quaternions. These are complex number systems involving four terms, the fourth term being added after years of trying to make a system with three terms - one for each spatial dimension - function in the way Hamilton desired. The point of these systems was to model spatial changes in three dimensions, but any time Hamilton tried to look at the changes without the fourth term, he found the changes being restricted to only rotations within two spatial dimensions; he found himself literally going round and round in circles. Adding this fourth term solved his problem, but he had no idea what it could mean. Hamilton, like many others, surmised that the fourth term might reference time but didn't fully grasp the consequences of such an idea as the nature of time was (and to a large extent, still is) very mysterious. As Alice approaches the Mad-Hatter's tea party, we learn that the Mad-Hatter and his two friends the March Hare and the Doormouse, have fallen out with Time who now refuses to let them move the clocks past six, trapping them at tea time. Without this fourth member, the trio are restricted to moving round and round the table in an attempt to find clean cups and saucers to continue tea time; just like Hamilton was without his fourth term. The satire goes deeper within the scene, with the Hatter asking absurd riddles and making connections between unconnected objects like a "raven and a writing desk", essentially mocking Hamilton's conception of "Pure Time" as being independent of cause and effect. The scene ends with the Hatter and the Hare stuffing the Doormouse into a teapot, letting them exist as a single complex number and finally be free of all those rotations, though still completely incapable of moving around in the way Hamilton wanted. The book is rich with such mathematical satire; far too rich to cover it all here. Almost all of it is unjust, most of what he mocks is revered as exceptional maths by modern mathematicians. None the less Dodgson managed to translate exceedingly complex mathematical ideas into a much more appealing form, a very rare thing indeed. This is a comprehensive collection of biographies and a great reference for maths teachers or students. It also contains posters and mathematical stamps which can be used for wall displays and posters. The website also has a section on “Famous Mathematician of the Day”, “Quotation for today” and Mathematicians' Anniversaries throughout the Year. Look up what mathematical anniversaries are being celebrated on any given day of the school year can be fun. This website gives a student friendly gallery of some famous mathematicians. Celebrating the role women have had in maths, this website contains interesting stories on women in mathematics over the years. These two volumes, featuring 15 compelling stories in each are written for ages 8-12. They are great for reading aloud to a class, or for independent reading for students aged 10 and above. Available to purchase from Amazon by clicking here. This two-volume set is organized alphabetically, like a selective math encyclopaedia, with 50 short biographies (including fourteen 20th century mathematicians). It includes a detailed mathematical timeline, glossary, and alternate table of contents organized by math field and ethnicity. The writing style is reasonably accessible for upper-primary read-aloud (with some paraphrasing) or for independent reading at secondary-school level. Available to purchase from Amazon by clicking here. Mathematics at all levels is about the joy in the discovery; it's about finding things out. This fascinating book is a guide to that discovery process, presenting ideas for practical classroom-based experiments and extension activities. Each experiment is based on the work of a key mathematician who has shaped the way that the subject looks today, and there are historical notes to help teachers bring this work to life. Available to purchase from Amazon by clicking here. These stories are lively and embellished with fictionalized details. Available to purchase from Amazon by clicking here. This engaging book, organized by mathematics topic and is recommended for students 10 years and older. The expanded edition includes classroom resource material. Available to purchase from Amazon by clicking here.